There is no such thing as an easy Ironman event. 3.8km swim, a 180km bike and then a 42.2km run is tough no matter how fit you are. There is wear and tear on your body before, during and after the event. It takes many hours of training and discipline to be able to complete one so you can say “I am an Ironman.” However, what if you train too much and do more harm than good? What if you could achieve Ironman status with less wear and tear on your body, have faster recovery after training sessions and the event itself, be able to spend more time with your family and friends (as opposed to gaining what could be “junk” miles pounding the pavement), have less chance of injury and still have a better body (lighter and stronger) and sharper mind? I have completed Japan Ironman (14:07:55) with the standard lots of hours training (20/week) and supposedly healthy diet (grains) and I have completed Malaysia Ironman (14:03:55) with less training hours (just 9/week) and a Primed Lifestyle (no grains/sugars etc.). I also weighed 10kg less and had more energy this way. 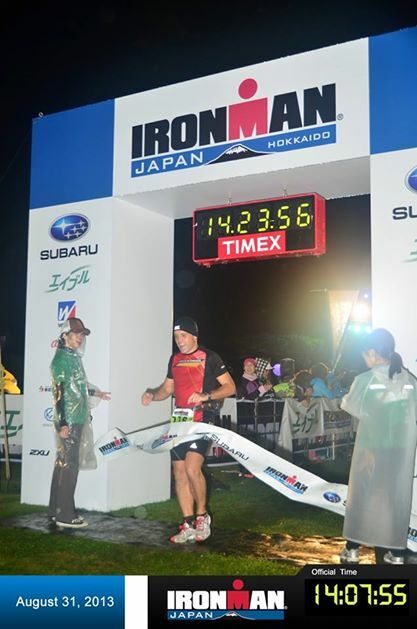 This post is to compare the two Ironman events in which one was Primed (Malaysia) and the other non-Primed (Japan). 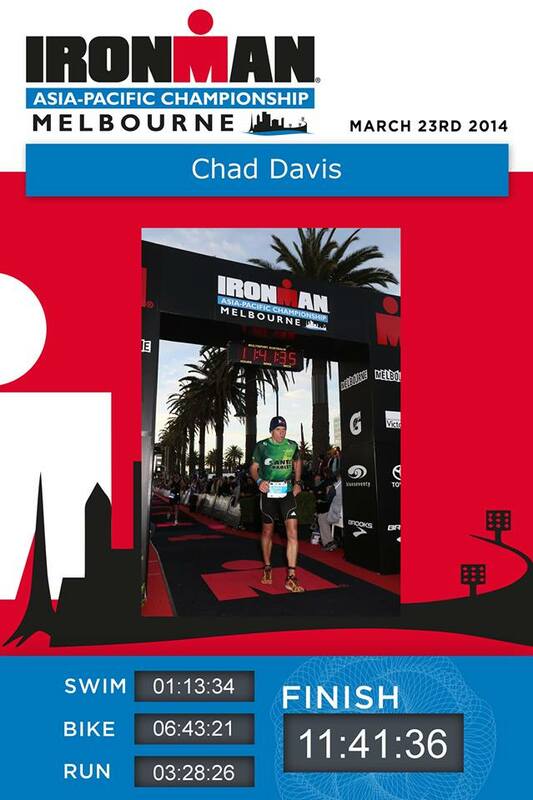 Just as another comparison, I also completed Melbourne Ironman after Japan Ironman with 18 hours training a week and leading the Primed Lifestyle in 11:41:23. An improvement of 2 hours and 20 minutes in around 6 months. 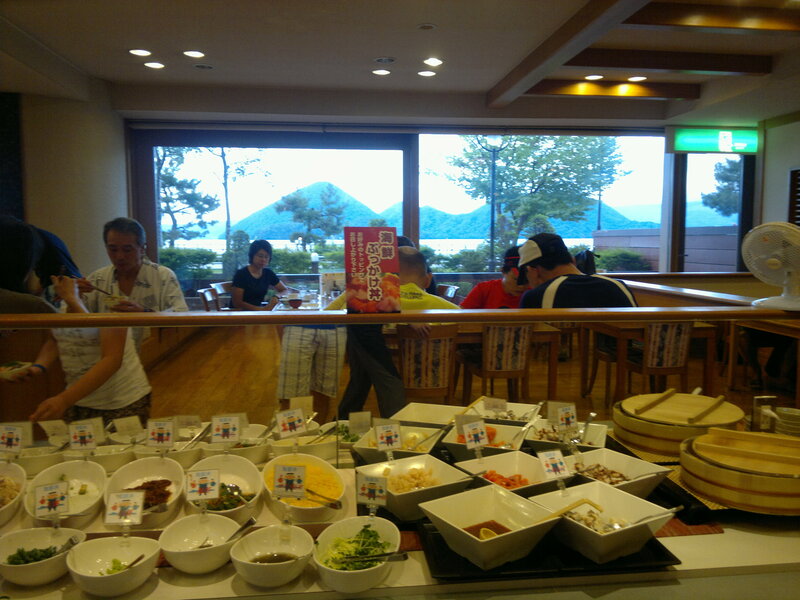 Prior to Japan Ironman I was eating the SAD way. SAD is an acronym for Standard Australian Diet where we eats lots of carbs and sugar and think it’s healthy (the Government and dietitians actually recommend this which is why we are one of the most obese countries in the world). I was exercising 20 hours a week, was more susceptible to injury, was often very tired and was 73 kilos. 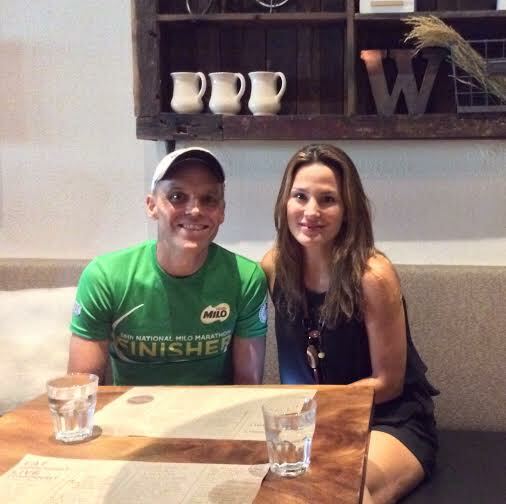 Prior to Malaysia Ironman I was no longer eating the SAD way but following the Primed Lifestyle of healthy and nutritious food. Who would of thought that I then felt more energetic, recovered fast after training sets and was my ideal body weight of 63 kilos. This is the power of real food with real flavor. My 8 week average prior to Japan Ironman I was training between 18 to 20 hours a week with an average of 100km running, 8km swimming and 150km biking. My weight prior to the start of the race was around 72 kilos or so. I will never, ever carbo load again (am talking about cheap, highly processed carbs like pasta and bread and not complex-carbohydrates like leafy greens, fruits and nuts). 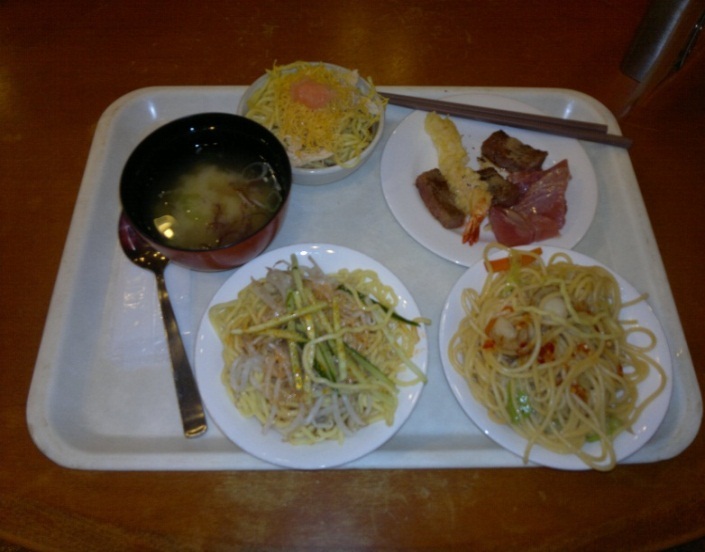 This is a mistake I made at Japan Ironman when I had lots of noodles (I used to love them) and a few beers before the event. I had 3 different flavors of noodles and also some ice cream at the end as a treat. Big mistake. Rookie mistake! During Malaysia Ironman I only had nuts, beef jerky and my own home-made Primed Energy Gel packed with good fats and natural sugars. I ran past some many people who were cramping and vomiting from eating sugary gels and sports drinks. I made that same error in Japan Ironman but now know it is best to keep a constant source of energy through good fats and protein then the spikes and falls of glucose energy (from sugar and carbo). There were many triathletes who bonked or did not perform to their expectations due to their poor nutrition choices. They got away with it during their training sessions but came unstuck during the grueling event itself. Some “junk” foods to avoid include spam, sandwiches, sugar gels, sugar sports drinks, sugar “energy” bars and all things processed, with added refined sugar and all grains. These products spike your blood sugar (what goes up must come down) and cause inflammation in your body. Besides, gram for gram, fat has twice the energy as the cheap carbos. After Malaysia Ironman they only served very cheap pizza, pasta and sweet drinks. I knew my body had expended a lot of energy and needed protein to aid its recovery. So, I skipped the beer and pasta and went back to my room for some beef jerky and pickles. I slept well throughout the night. 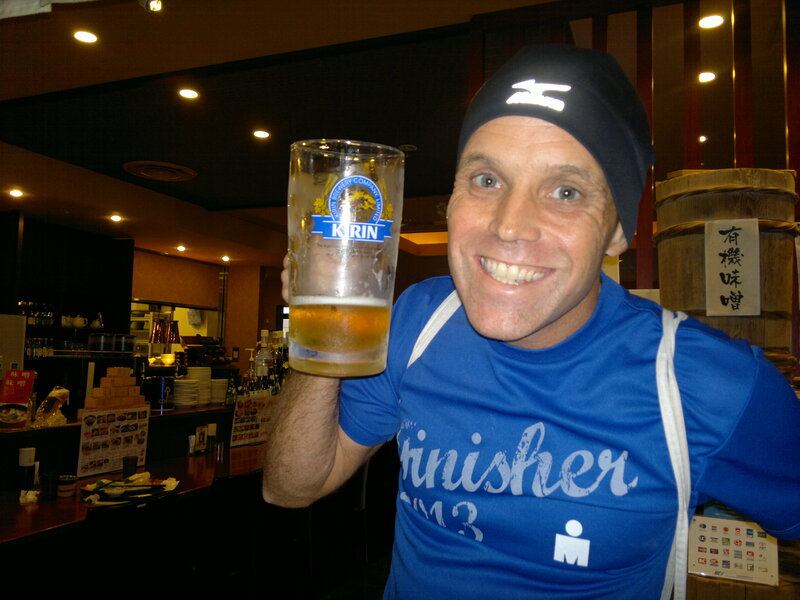 After Japan Ironman we all went to a restaurant where I “rewarded” myself with a beer or three and some noodles and sushi. I slept badly and had bad leg pain throughout the night. Prior to Ironman Malaysia I was busy establishing Primed for your Life I knew I would have less time to train compared to Japan Ironman. So I made sure I trained more effectively which meant more intensity through speed work for the swim, bike and run. I also ensured my once per week 20 minute Eccentric Gym routines were maintained and this helped me a lot with upper body and leg strength. The added bonus of training less but more intensely is that you then have more time to rest your mind and body between sessions. Hence, you look forward to the training more as your body is rested and your mind refreshed. After Malaysia Ironman I was able to go for a an Eccentric gym workout 2 days afterwards and a light swim, bike and run 3 days afterwards. I was feeling great and had no real aches and pains at all. This is in contrast to Japan Ironman where I was more “banged up”. Maybe it was from lugging the extra 8 to 10 kilos around for the 14 hours of the tough physical event. After Japan Ironman I was also able to run 3 days afterwards but it was more of a walk/jog and I did not feel as refreshed compared to Malaysia Ironman. 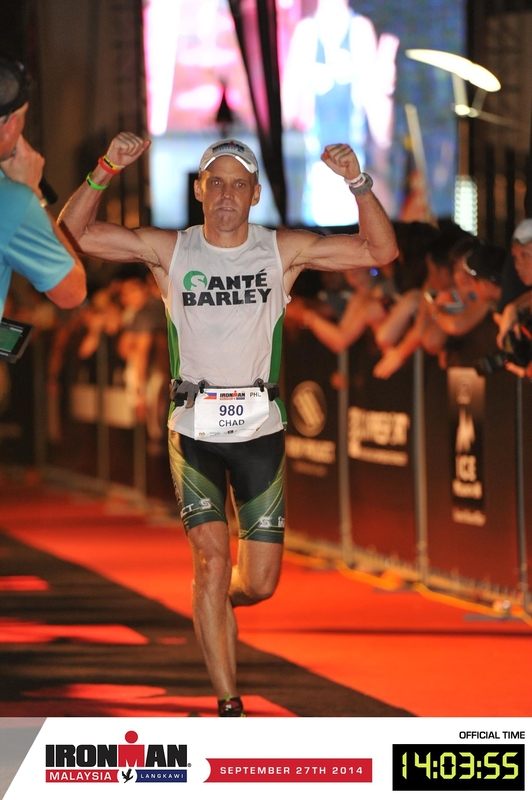 With less than half the training (so more time for business, self-education, family and fun – 9 hours compared with 20) I was able to improve on my Japan Ironman time at Malaysia Ironman. Being Primed for your Life rocks. How I felt is summed up with these 2 pictures. In Japan I was simply relieved to see the finish line, whereas in Malaysia I hit it hard with more vigor and energy. That is what the Primed Lifestyle is all about. You will gain more energy so you have more time for life!